Herbalife Nutrition is a global nutrition company whose purpose is to make the world healthier and happier. Fierce Life Nutrition, as an independent vendor of Herbalife products, takes this mission a step further. 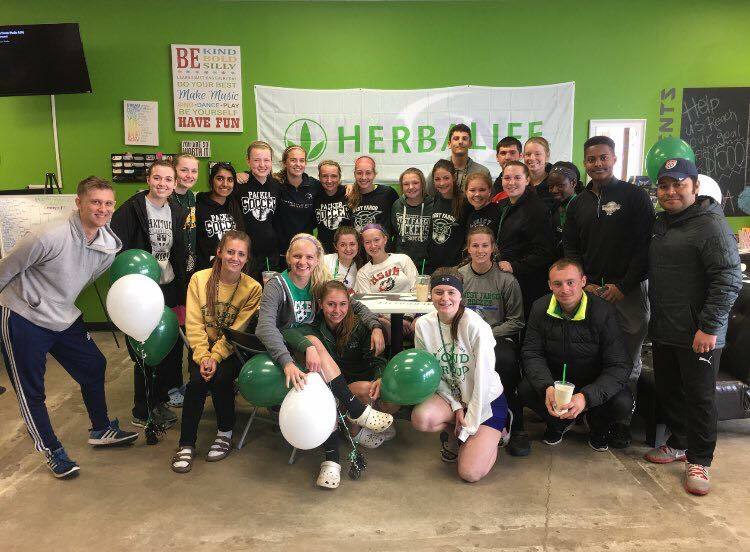 Not only do we want to provide access to Herbalife products- we want to create a supportive, positive haven for the community. Our 24oz protein shakes are served with a 16oz tea and a shot of aloe juice to aid digestion. You can customize your order to focus on boosting strength, aiding weight loss, or just getting through a sleepy work day. For athletes, we provide Herbalife24 options for a boost before and after your workouts. We also offer free body composition scans by appointment. We will help you determine your effective metabolic age and set a fitness goal by analyzing your lean muscle, body fat, and water content. Then we will advise you on how to use this data to improve your overall health and set fitness goals. You can get your healthy lifestyle off to a great start by hiring us to help you prep your meals. Schedule an appointment to be assisted by your very own Fierce Life Nutrition support group in planning and preparing meals (and snacks!) for the next 5-7 days. Fierce Life Nutrition consistently hosts fundraisers in the form of silent auctions and proceed donations. Help your body by helping a friend in need! Sign up for a Body Fit Challenge and win money in your pocket. Each challenge is 6-8 weeks long, and your entry fee is placed in a pot to be awarded to the top fitness challenger. Participants meet at 5:30pm on Tuesdays.